No, you didn't miss last month's newsletter. 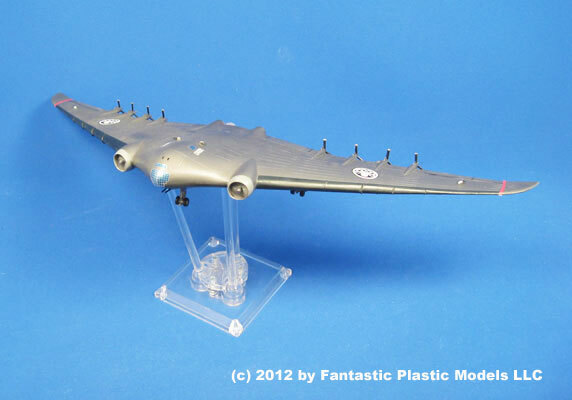 Fantastic Plastic's latest release (below) was delayed a few weeks, and as they had no new kits to announce, we decided not to waste valuable megabits discussing the weather. But what a difference a month makes! 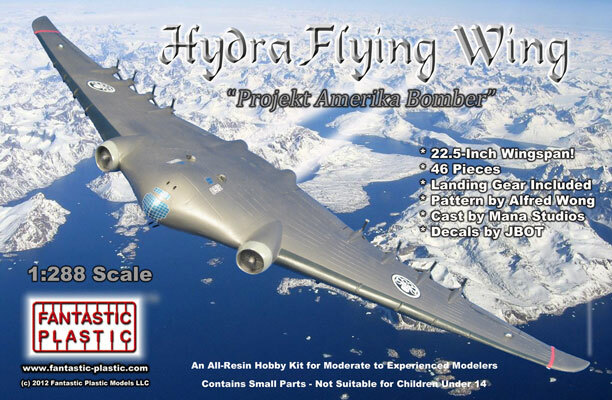 NEW RELEASE: 1:288 Hydra FlyingWing from "Captain America - The First Avenger"! The great thing about "summer blockbusters" is, regardless of their quality, you can almost be assured of getting some good modelling subjects out of them. Last year's "Captain America - The First Avenger" was a double-surprise: It not only gave us some excellent Luft '46-style modelling subjects, it was also one hell of an entertaining movie! 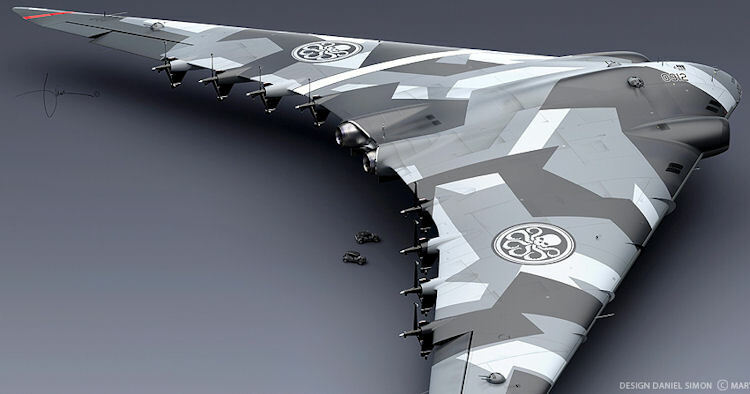 So here's the first of our "Captain America" subjects scheduled for release this year: The Hydra Flying Wing, the "Projekt Amerika"-style bomber the Red Skull hoped to use to rain nuclear hell on America's eastern seaboard. Even in 1:288 scale, this guy is a monster! 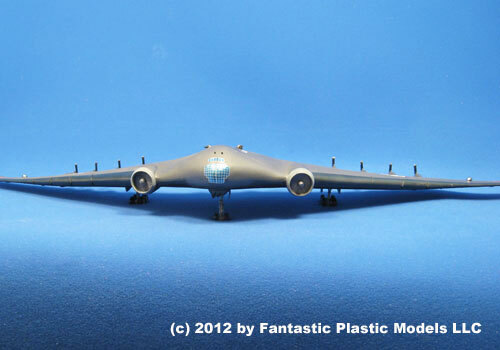 The model has a 22.5-inch wingspan. And we did it justice by making the body a single rotocast piece. 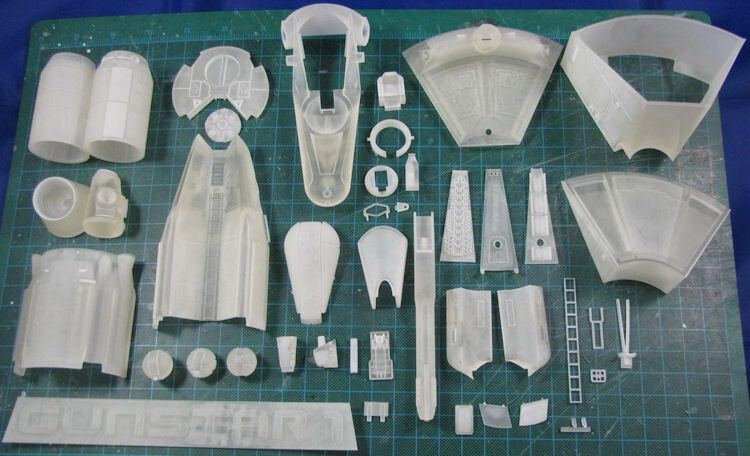 That's just one of the kit's total 46 pieces, which also includes metal-reinforced landing gear. 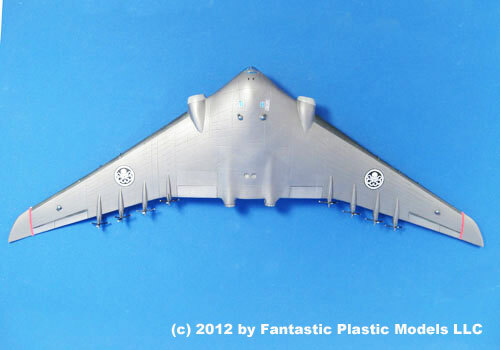 Our Hydra Flying Wing kit was mastered by Alfred Wong, cast by Mana Studios and features decals by JBOT. It's available now in the Virtual Museum Store for $110.00 + shipping. (Note: This comes in a BIG box, so shipping charges are a bit higher than usual for us.) Click the box art for complete details. Get yours today! 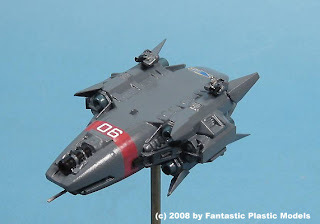 COMING INSEPTEMBER: 1:144 Gunstar from "The Last Starfighter." 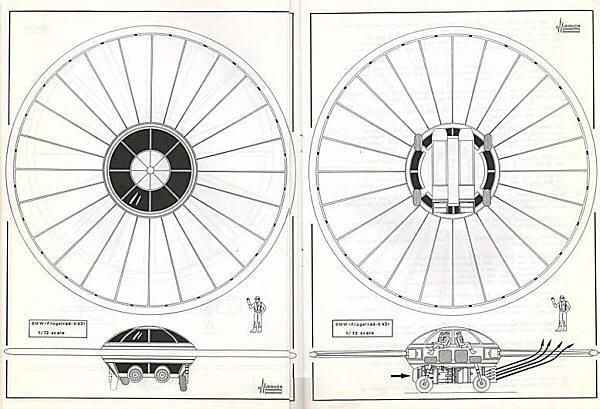 Back in the early 80s, Computer Generated Imagery (CGI) was just in its infancy. "Tron" (1982) had given us a taste of CGI, but many of its so-called "computer-generated effects" were actually imitation CGI achieved with conventional optical printing techniques. It was the relatively low-budget upstart film "The Last Starfighter" (1984) that truly ushered in the age of CGI, presenting stunningly realistic space vehicles that existed only as megapixels inside a Silicon Valley supercomputer. 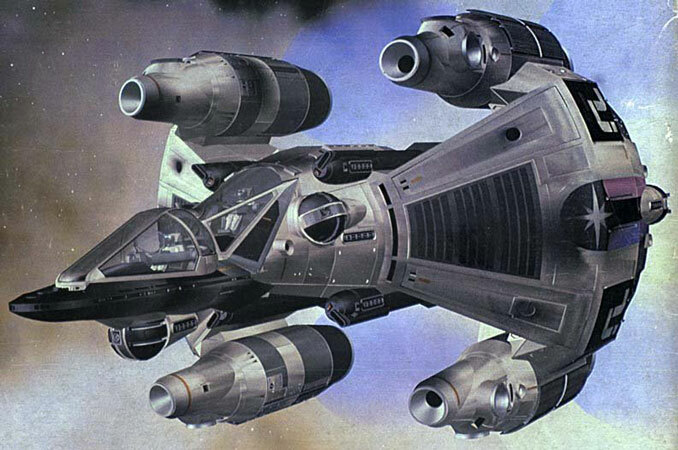 The centrepiece of the movie was the Gunstar, a big and truly nasty starfighter designed by legendary visual conceptualist Ron Cobb (who also did the Nostromo for Ridley Scott's "Alien"). 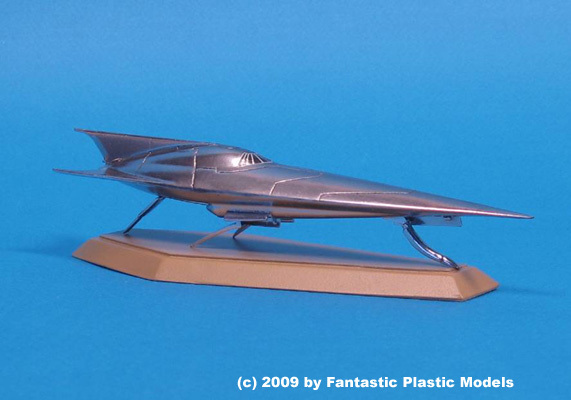 Model kits of the Gunstar have been difficult to come by in the decades since. This year, BLAP! 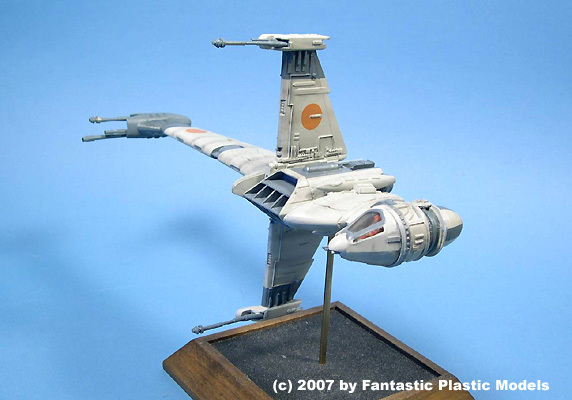 Models created a stunning CAD design of the Gunstar it used to produce a 1:72 kit for Starship Modeller. 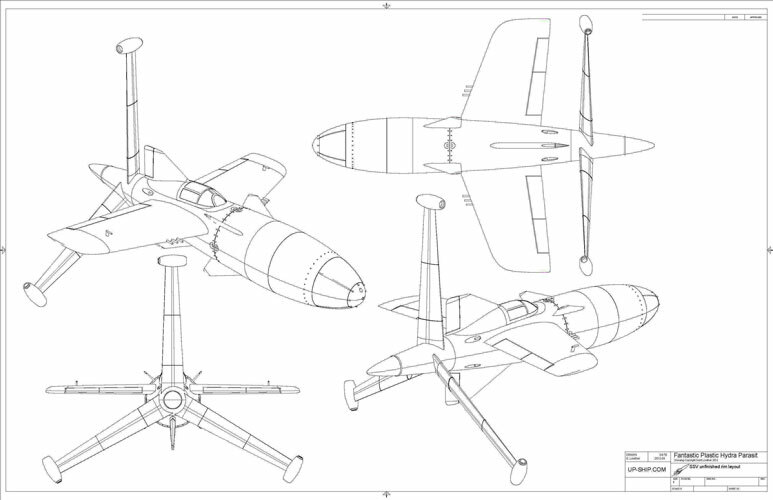 Because we're tight with BLAP!, we were able to twist his arm to get him to produce a smaller (and significantly less expensive) 1:144 version of the same kit using the same (albeit simplified) CAD model. Scheduled for release in September, our 1:144 Gunstar will feature over 40 pieces, including parts for the dreaded "Death Blossom." The price is $125.00 + shipping. To reserve your copy, email us at FantasticPlast@aol.com. 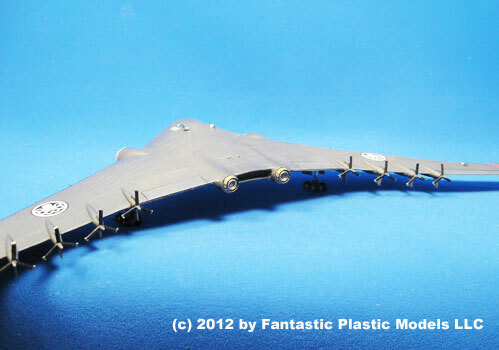 Also scheduled for release next month is our second "Captain America" subject: The Parasite/Fighter Bomber. 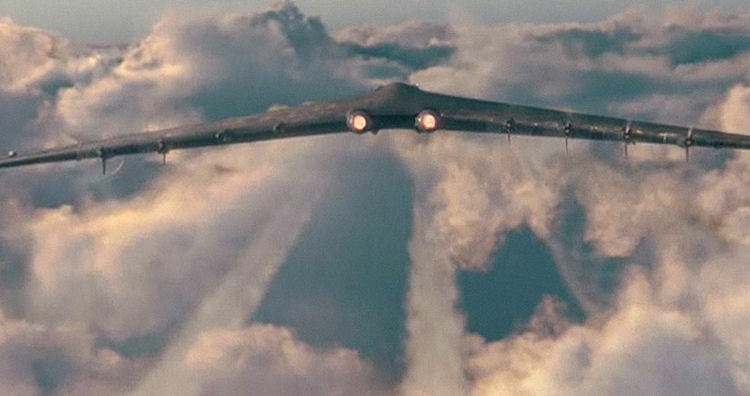 Eight of these one-man pusher-prop aircraft were carried aboard the Flying Wing, each armed with an ejectable nose carrying a nuclear bomb. Our Parasite was created in CAD by Scott Lowther and cast by the latest member of the Fantastic Plastic family, Monkeyworks. It's a good-sized model in 1:48 scale, with 30 pieces, including a complete cockpit. We don't have a price yet, but expect it to sell in the $75.00 range. You can indicate your interest by reserving a copy at FantasticPlast@aol.com. 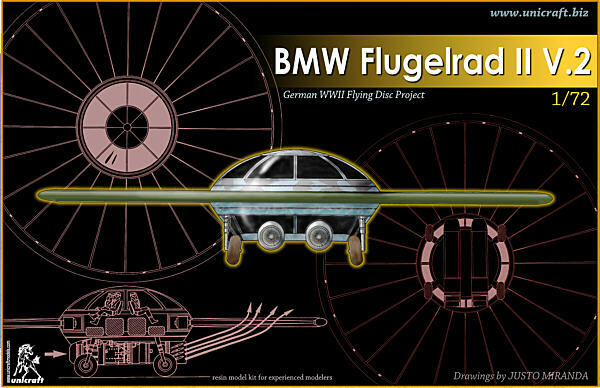 Our newest kit from Unicraft is the BMW Flugelrad II V.2 flying saucer project. 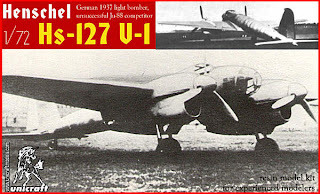 This is the third in the series of flying discs purportedly tested in Czechoslovakia during the final months of World War II. It's significantly larger than the previous versions, and was designed for two crew members instead of just a single pilot. The Unicraft Flugelrad II V.2 is available now in limited quantities for just $55.00 plus shipping. Get 'em while we got 'em! 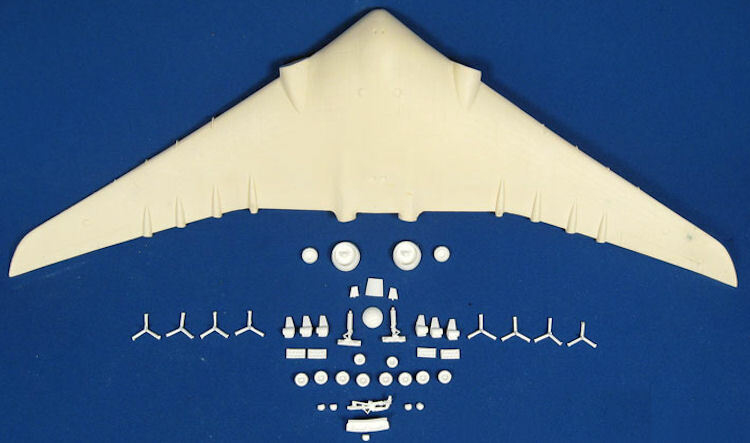 We recently sold a large batch of Unicraft kits to a buyer in Germany. Unfortunately, the package was severely damaged during shipment, destroying 80% of the kits. (And it was uninsured. Yipes!) Although the entire shipment was returned to me for a refund (which I promptly provided), I discovered that a few of the kits had managed to survive the onslaught, albeit it with some dented and torn boxes. In hopes of recovering a bit of my loss, I'm offering these "Scratch and Dented" kits for 50% off their normal retail price. Just email me at FantasticPlast@aol.com if you're interested. I guarantee each kit is intact, or your money back! 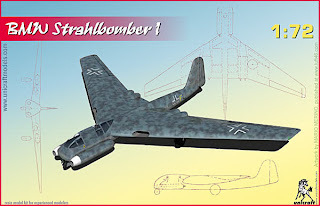 BMW Strahlbomber (1 Available) - Normally $70, yours for just $35.00! 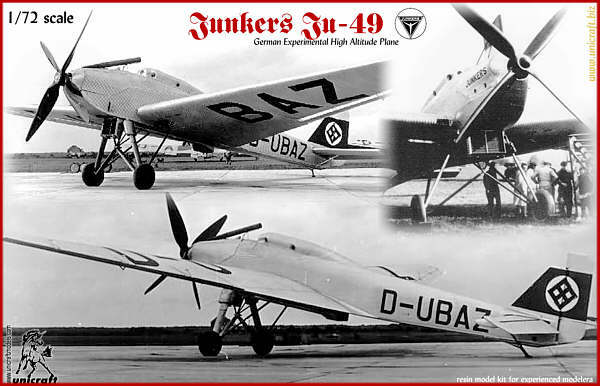 Junkers Ju-49 (1 Available) - Normally $55, yours for just $22.50! Henschel HS-127 V.1 (3 Available) - Normally $40, yours for just $20.00! 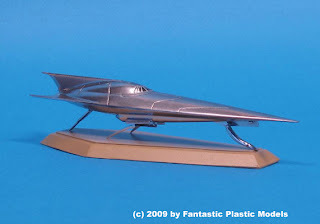 Email me at FantasticPlast@aol.com to order any of these "private sale" model kits. They will be sold first come, first served.